The lower chamber of the Dutch Parliament, the House of Representatives, has registered a bill that recommends the ratification of the Association Agreement between Ukraine and the European Union. This bill was registered on January 27, 2017, the website of the House of Representatives said. The bill is accompanied by the Royal Message by the King of the Netherlands Willem-Alexander and the advice from the Council of State of the Netherlands. 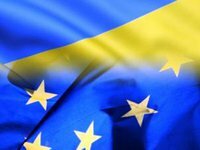 The bill says that the law dated July 8, 2015, which approved the ratification of the Ukraine-EU Association Agreement, should be enacted since the moment of the adoption of the bill. In keeping with the procedure, the bill should be also approved by the upper chamber of the Dutch parliament, the Senate.